Hello lovely readers! 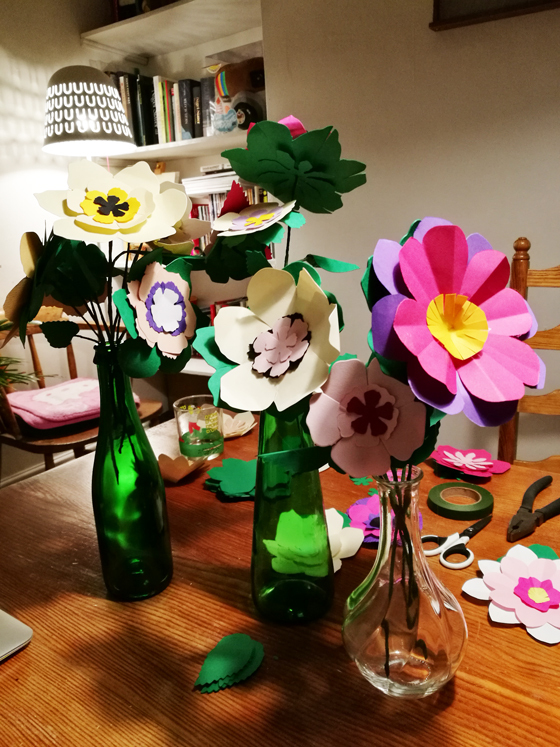 This is going to be a very quick post about how to make paper flowers. I’ll be going through step-by-step on how to put together paper flowers for all your spesh occasions. 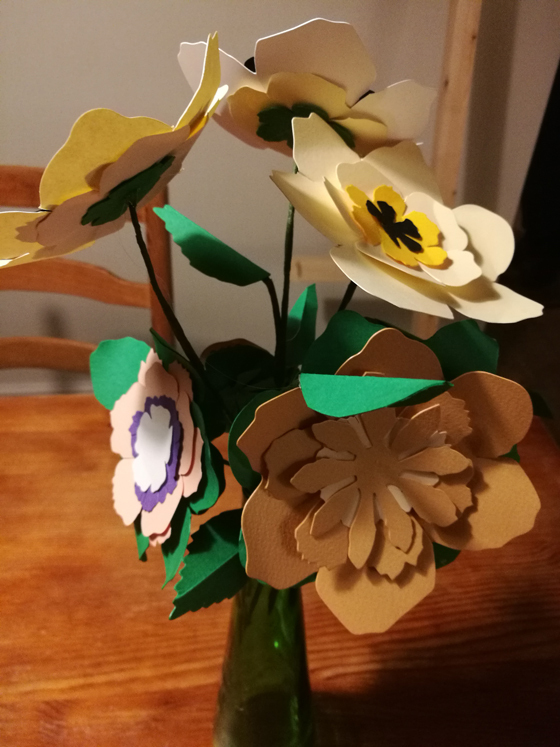 There are loads of books and online tutorials on how to put together paper flowers (thank you Pinterest as always); I won’t go into detail about using different types of paper etc. as I feel that it’s up to you to go and have some fun and experiment with this part of the process. I’ve been making paper flowers since the start of October as my plan for the wedding reception was to have a mixture of paper flowers on the tables and a BIIIIIGGGG flower installation hanging across the beams. I’m getting pretty adventurous here and I’m not sure if I’m jumping the gun, like, but I thought I’d make as many as I can from now until the wedding and see what happens really! 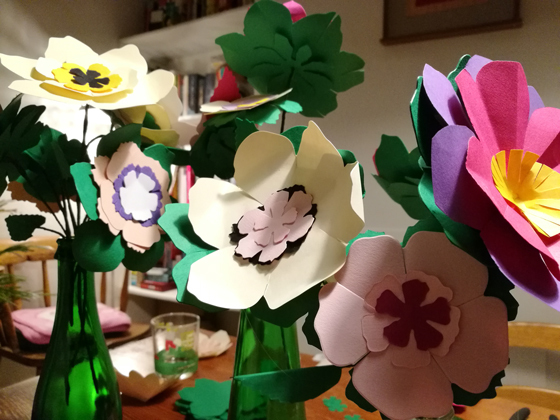 In my previous post I wrote on how to make paper flowers using a die-cutting machine and this post kind of follows on from that. For this next step you’ll already need some paper flowers ready so that you can make the stem for it and add any other details you want to it. 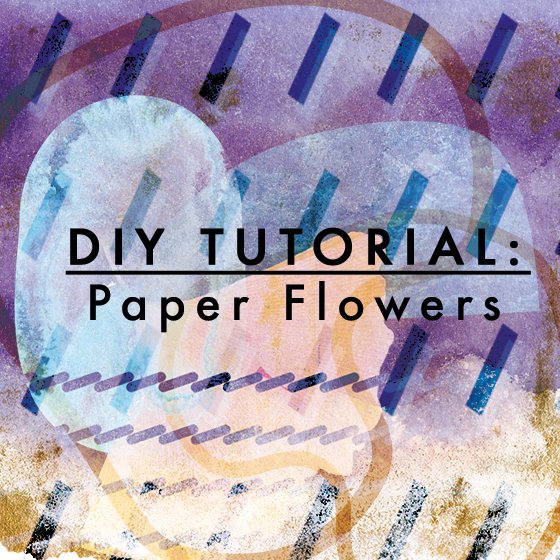 Alrighty, so let’s get making paper flowers folks! Glue gun and loads of glue sticks! Depending on how high you want your flower I’d use one piece of wire per flower. If you want to make smaller ones then cut the piece of wire using pliers. Wrap the wire using the floral tape from top to bottom, stretching it and twisting it as you go. Remember to press into the tape as you make your way down it. The easiest and fastest way is to literally spin the wire around the tape and that way you cover all of the wire. If you want to add stems to it repeat steps one and two; to add different heights to the flower place the stems randomly or as naturally as possible. Have cut out green leaves for the bottom of your flower and make a hole in the middle of it by pushing through the floral wire. The next step is to assemble everything together. As you can see from the photos I’ve used two pieces of green leaves which holds the flowers to add texture to it. Get your glue gun ready! Glue together all the pieces together, pressing them together firmly as you go. For the last part of the green leaves (BEFORE you stick on your flower), bend the wire so that it secures and holds the green leaves. Add more glue to the top part and press together your flower. Keep going and add more leaves to your flower(s). You can see from this photo that I’ve added green leaves to the bottom of the flower heads. This holds the wire and the flower head together (step 7 and 8). I’ve found that using different shaped leaves and flowers can really make the whole thing stand out. There are kits online where you can easily assemble them together, however, this is so much fun and the fact that once you get into the rhythm of it, you can make a few in one go. Like I said, there are lots of books on how to make different types of paper flowers (e.g. 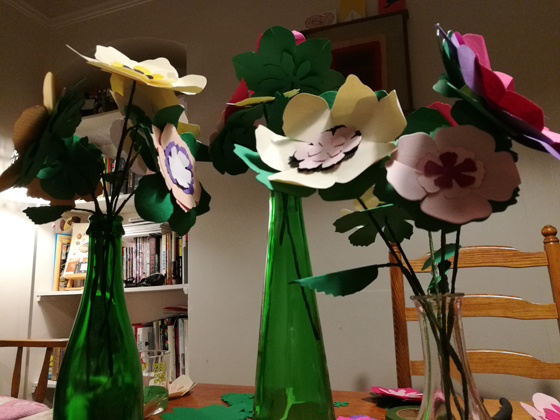 crepe paper flowers)- I’m pretty much going to stick with this style as it’s easier for me to make one big batch in one go. We are hoping to give them away at the end of the evening, which will be a rather lovely gift for our guests as we’re not doing wedding favours. Get crafty folks and enjoy the rest of your weekend!